I posted these wooden wall signs on Instagram and many of you fell in love with them (me too)! Sadly, not everyone has been able to find them in-store. I have good news! 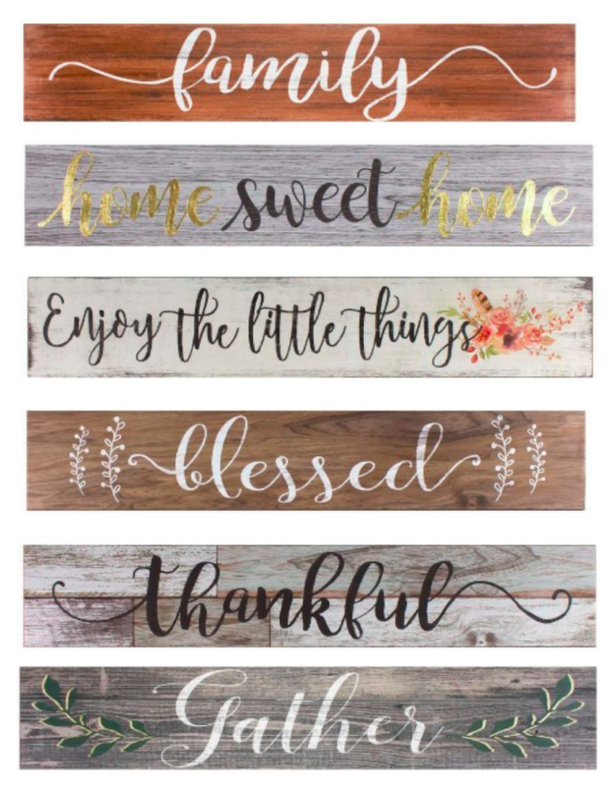 I have found the wooden wall signs online at Target.com. These are only $7.99. They are a great size too, they are 34 inches long, 6 inches wide and .5 inch thick. I kind of want them all, but I don’t have that much wall space.